On March 13th, 2007 a legend was born. 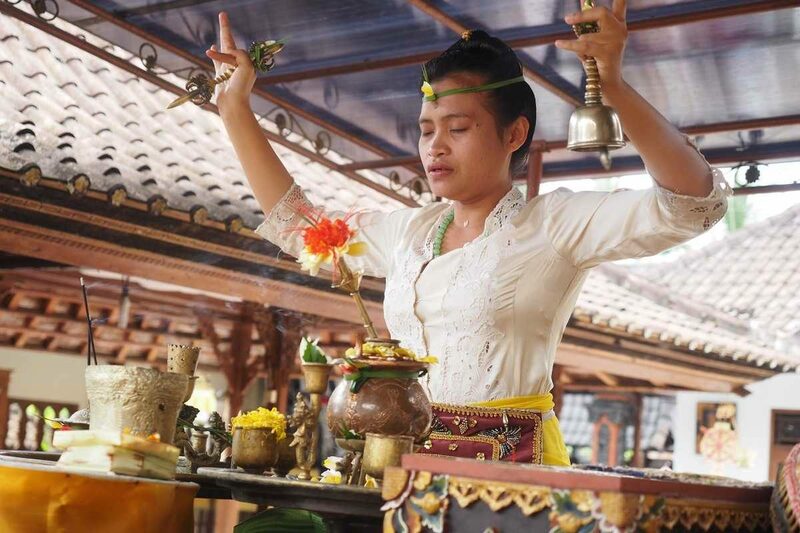 A village girl of 21 years old was ordained as – not just the only, but the youngest – female High Priestess of Hindu Dharma, the traditional religion on the deeply spiritual island of Bali, Indonesia. On the day of her rebirth, this village girl became known as Ida Panditha Mpu Budha Maharsi Alit Parama Daksa. Ida Resi will be kindly officiating our opening and closing ceremony.